On to the second match review of this blog, this time with the return of Liverpool to the Britannia Stadium, where they were thumped 6-1 in the last game of 2014/15 Premier League. Regarding Liverpool, I was looking forward to see the “who adapts to whom” game concerning Benteke. Brendan Rodgers opted for the most obvious and correct answer and the amount of long balls was kept low. Also, once the lineups were announced, reading “Joe Gomez” didn't ring a bell for me, so that was another point of interest, which will be further developed. About Stoke, it's interesting to see the slow evolution they are undergoing, from the Rory Delap's days, where every throw-in in the opposition half was like a corner, to nowadays where players like Affelay and Van Ginkel are being deployed in the starting eleven. Of course, that Stoke shirt still has magical powers as even the more technical players get aggressive when they wear it, as Affelay proved with a “welcome to Stoke” challenge on Clyne in the opening stages! The match – If Chelsea has limp wings, Liverpool’s left one was amputated! Don’t get me wrong, the title is not intended to bash Joe Gomez as he’s a kid who didn’t had a bad game by any means. Apart from some timing errors due to his inexperience, he was composed, played simple and didn’t gave the ball away. In fact, I’m pretty sure he did exactly what Rodgers asked him to do. The bottom-line is that his inclusion led to one of the most assymetric offensive dynamics I have ever seen, which of course didn’t benefit Liverpool at all, if their objective was to win the game. So, they had Joe Gomez as a left-back, Lallana always going from the left to the center and even the dynamics of their midfield duo was inclined to the right with the derivation of James Milner. One can argue, is Stoke’s right back so good defensively that it is not worth trying? 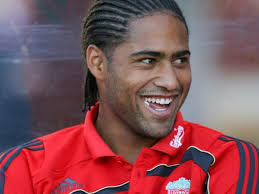 No, Stoke’s right back is Glen Johnson whose handicap is precisely his defensive game. As a consequence, Glen Johnson had one of the easiest games of his career and I think Rodgers deserves at least a vintage wine bottle from him, as a gift for his quiet afternoon. Of course, Rodgers also has to offer something to Coutinho who scored a goal from nothing and gave Liverpool the win when there was nothing separating the two sides. About the game, it was very even for the vast majority of playing time, with Liverpool improving a bit on the second half especially after the Lallana-Can substitution which freed Milner and gave them more ball possession. That said, I don’t remember a save from Butland and Mignolet also had a quiet afternoon. From a trading perspective, in these types of games you should base your positions mainly on the market dynamics as there was no evident tendency in this match from a football perspective. Eventhough Benteke had a limited involvement in this match, he looked composed and I think he’ll play a key role for Liverpool this season, especially unlocking matches at Anfield. James Milner might be boring but he brings stability with his experience; one of the bright spots for Liverpool in this game was his partnership with Henderson (amazing player!) in the center of the park. About Joe Gomez enough was said already and Clyne performance suffered from the overcrowded right side, so I will reserve my opinion for another time although he was solid defensively. As a final remark, I don’t believe Rodgers will maintain this “right-side only” dynamic, otherwise they'll suffer soon as they have a tough schedule coming.